Warhorse Studios is looking to release the patch immediately for PC. 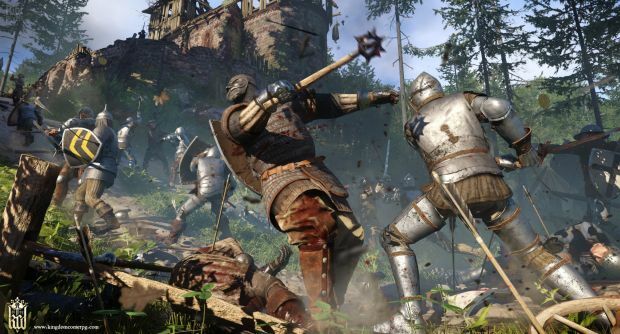 If you’re still encountering bugs, glitches, broken quests and whatnot in Warhorse Studios’ Kingdom Come: Deliverance, then you’re also wondering whether a patch is inbound. The developer revealed shortly after launch that patch 1.3 would fix lots of bugs tied to quests. It also estimated that the patch would be out two weeks later. That was on February 13th. So where is the new patch? According to director Daniel Vávra on Twitter, patch 1.3 was delayed by a “few days” due to testing. This is to ensure that more bugs weren’t caused by suddenly rushing the patch out. Current ETA is for the patch to go live this week for PC players. Console players will need to wait a few additional days for certification. Vávra also noted that this patch would contain the ability to save and quit one’s game. As of now, the wait continues. Whether fixes will be coming for other issues like the jerky combat remains to be seen, especially since that likely requires significant revamps to the game’s design.